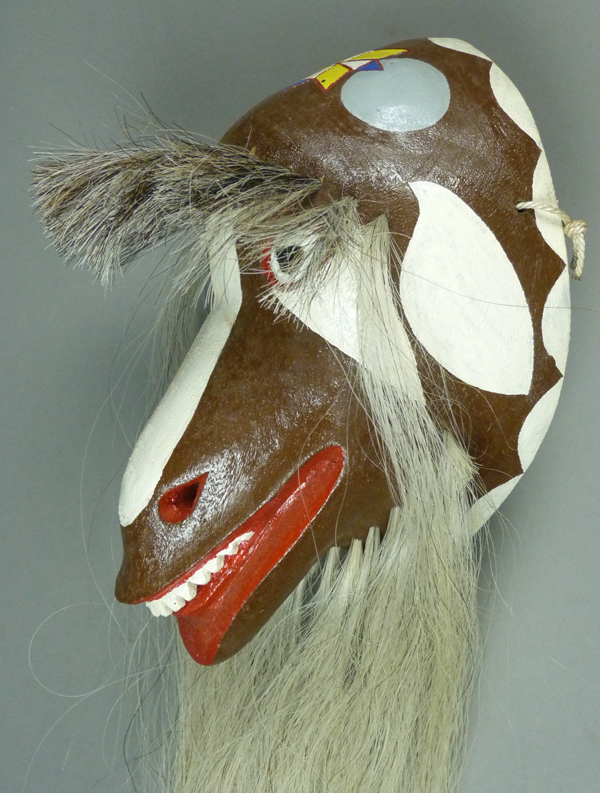 I bought my first Goat Pascola mask by Crisencio from the Morning Star Traders gallery (Tucson) in 2006. It is magnificent. There is no forehead or chin cross. The triangles under the eyes were cut from recycled plastic CDs. 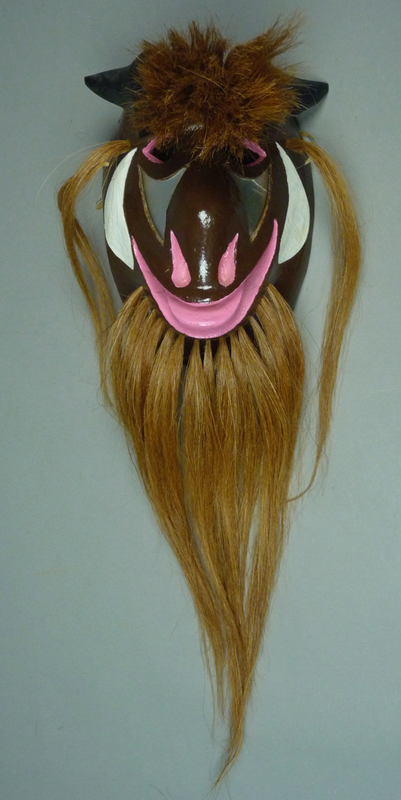 This mask is 7¼ inches tall, 5¼ inches wide, and 3 inches deep. The back, which shows no sign of use, was marked with Crisencio’s name, apparently by the Morning Star Traders gallery. 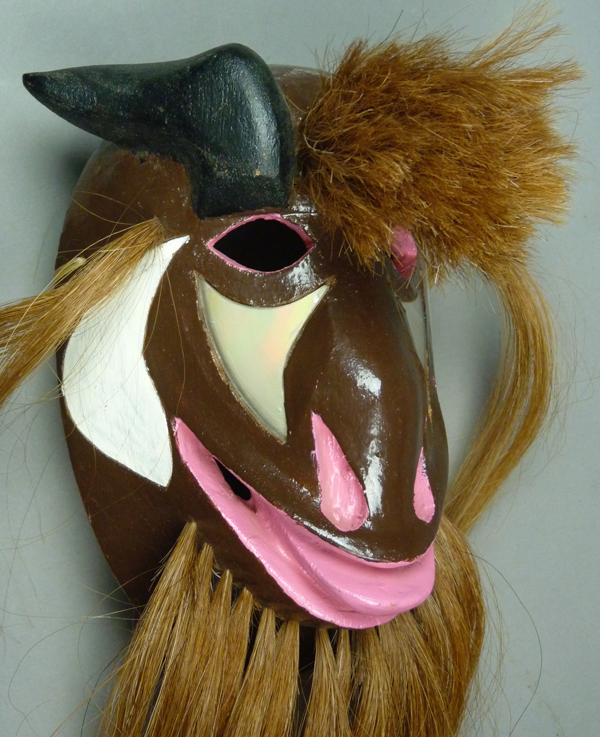 The second Goat mask was purchased from Crisencio in 2009, undanced. In contrast to the first, this one has a forehead cross. 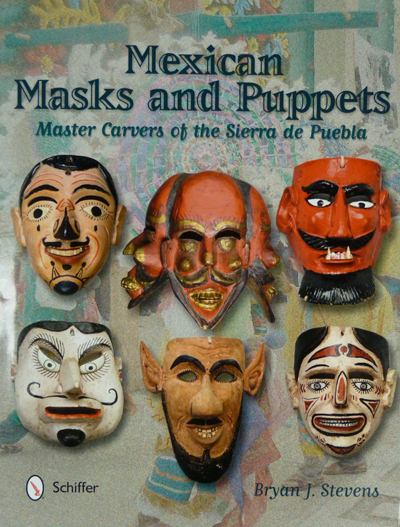 Crisencio’s masks are consistently well carved, and this one is no exception. 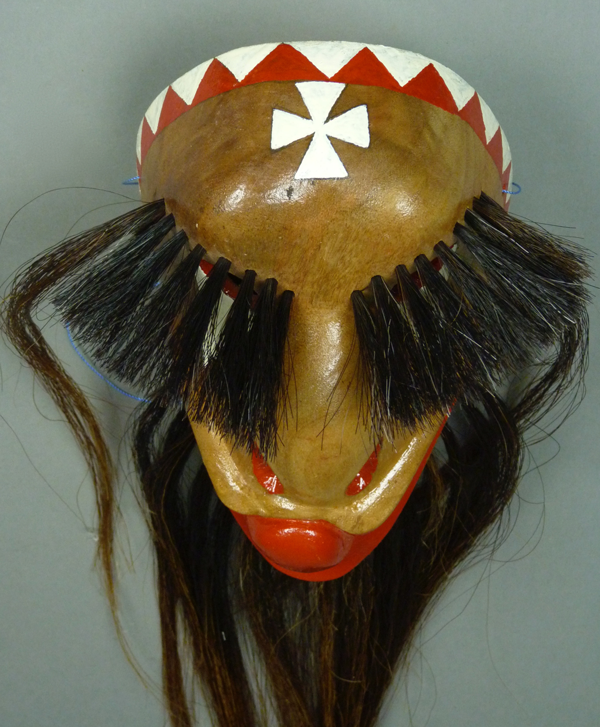 Inlaid plastic crescents flank the forehead cross and there are inlaid plastic stars on the cheeks. Also note the pleasing combination of white, black,and gray. 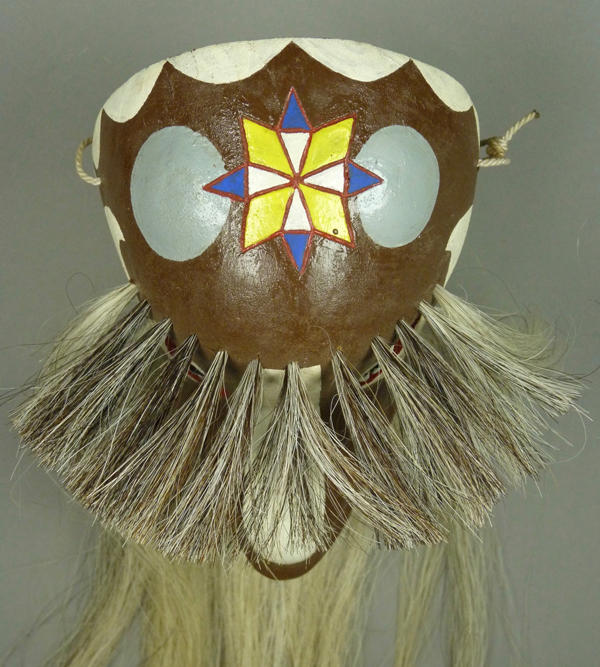 This is Crisencio’s standard hair treatment, which is generally superior to the hair on many other pascola masks. 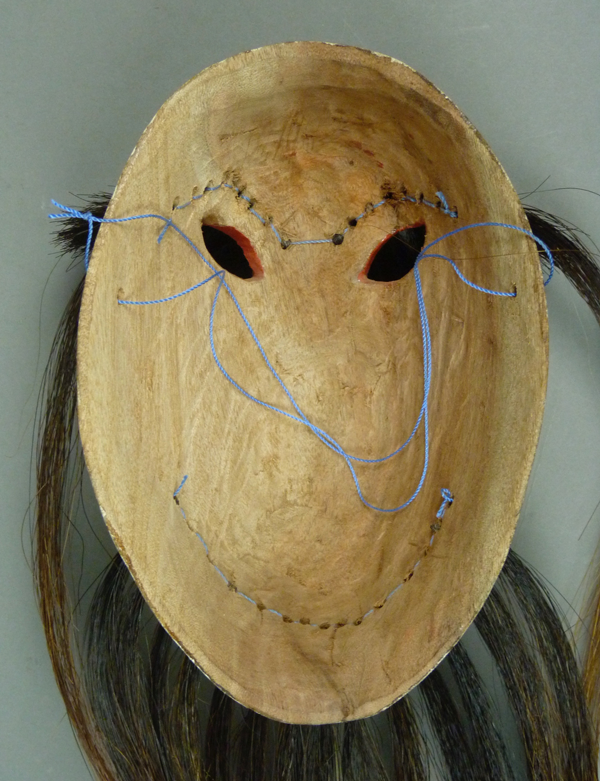 The mask is 7¾ inches tall, 5 inches wide, and 2½ inches deep. Someone, perhaps Tom Kolaz, has written Crisencio’s initials on the back (CMM). This back appears to be stained from use, but I believe that this is an illusion caused by variation in the color of the wood (heart wood versus sap wood). The third Goat was purchased from Crisencio by Tom Kolaz in 2007. The majority of the facial area was not painted, but merely coated with some pigmented sealer, so that one sees the natural grain of the wood. 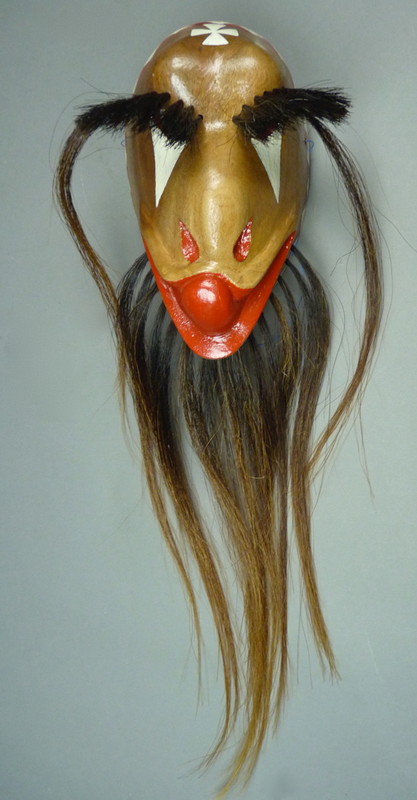 This mask too has a forehead cross. 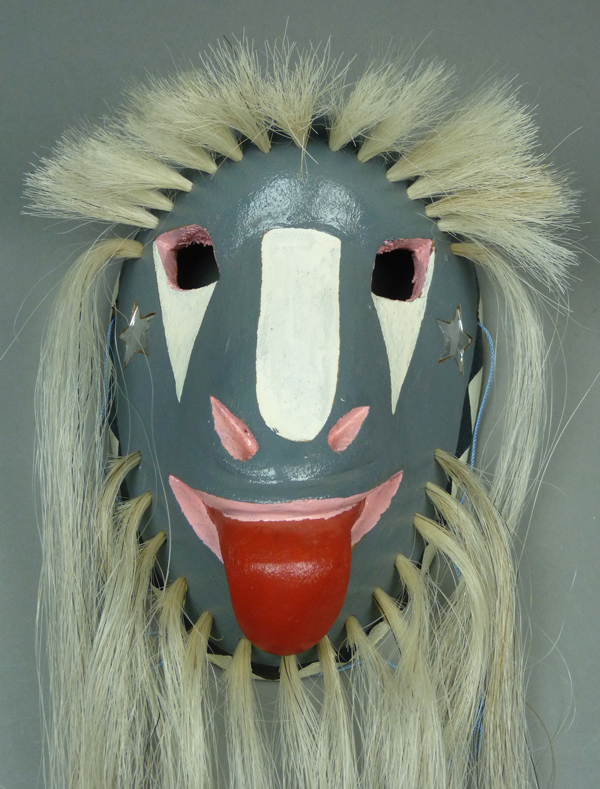 The most dramatic aspect of this mask is the oversized turned-up tongue. 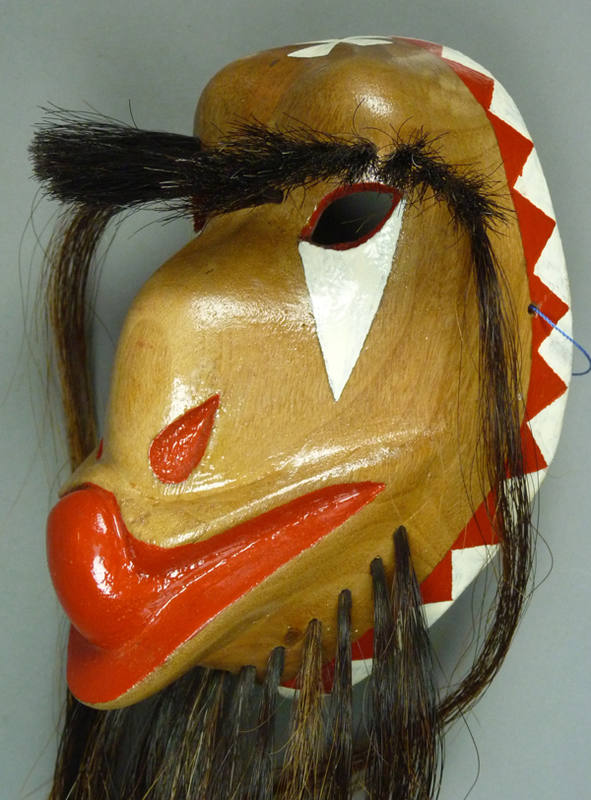 This mask is 7½ inches tall, 5 inches wide, and 3¾ inches deep. The back has been carefully carved and smoothed. There is no evidence of use. 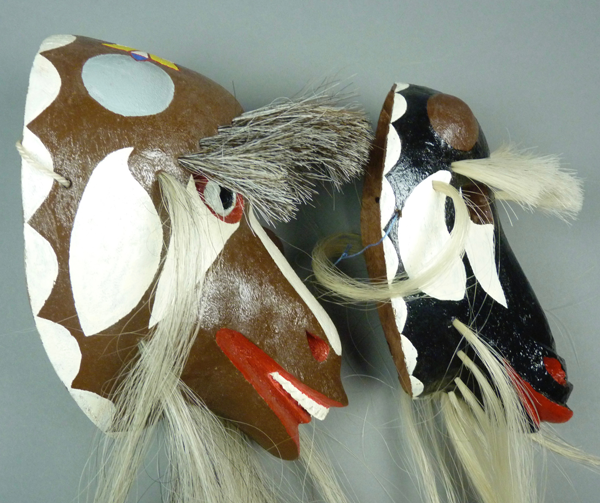 The next two masks were probably collected from Crisencio by Tom Kolaz in about 2010. 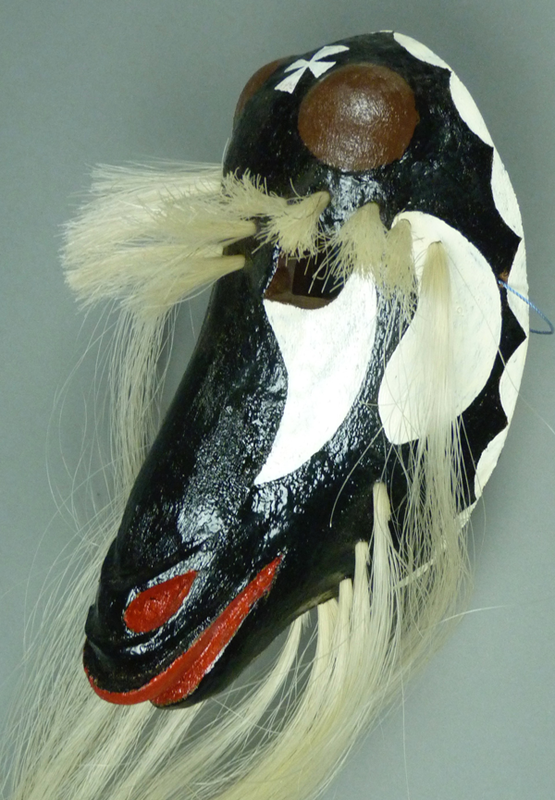 The areas of budding horns are carved in very low relief and highlighted by paint. 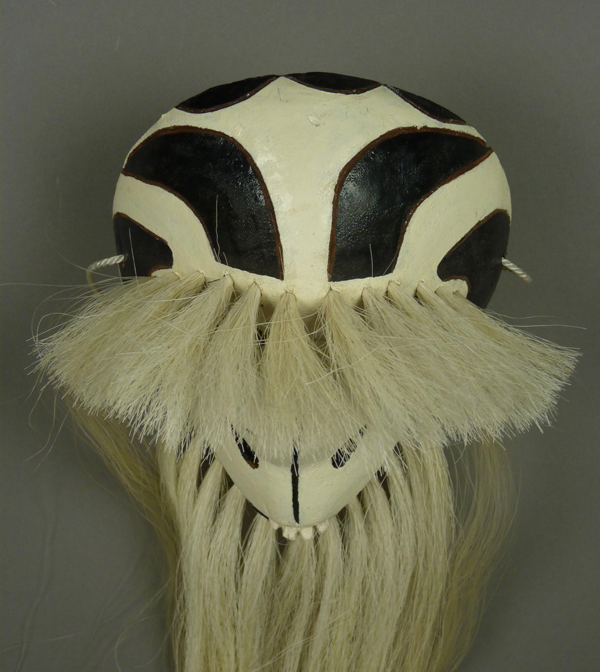 These low buds appear to be a Cricensio invention, as I have never seen them on any other carver’s masks. These horn buds flank an elaborate forehead cross. 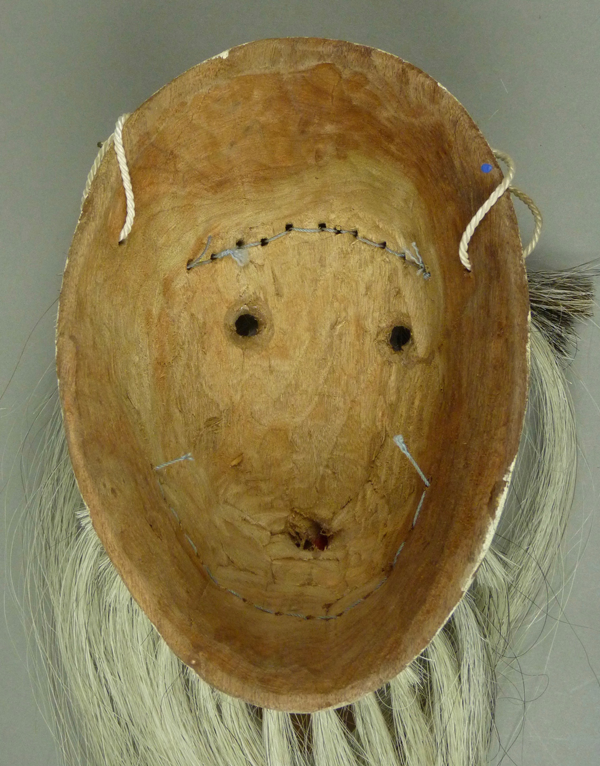 This mask has the carefully carved recessed eyes that we have seen on some other masks by Crisencio, with open pupils for vision. 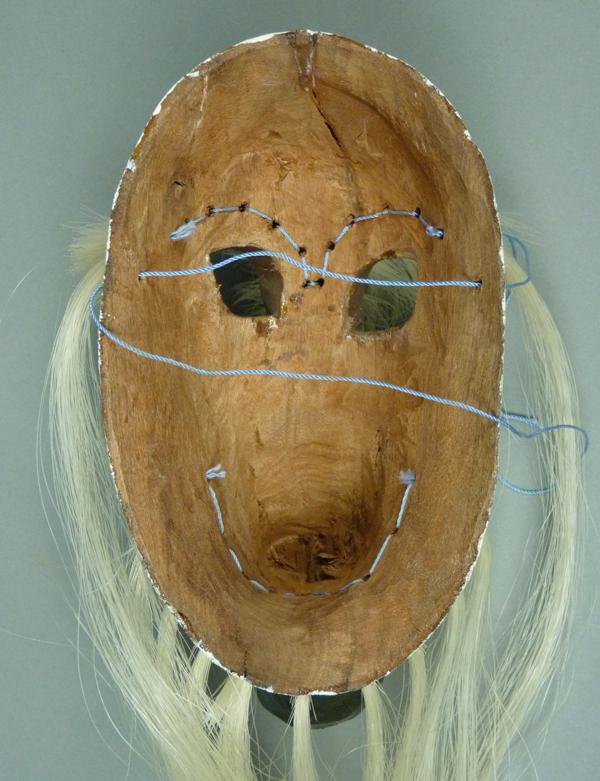 This mask is 9 inches tall, 5½ inches wide, and 5 inches deep. 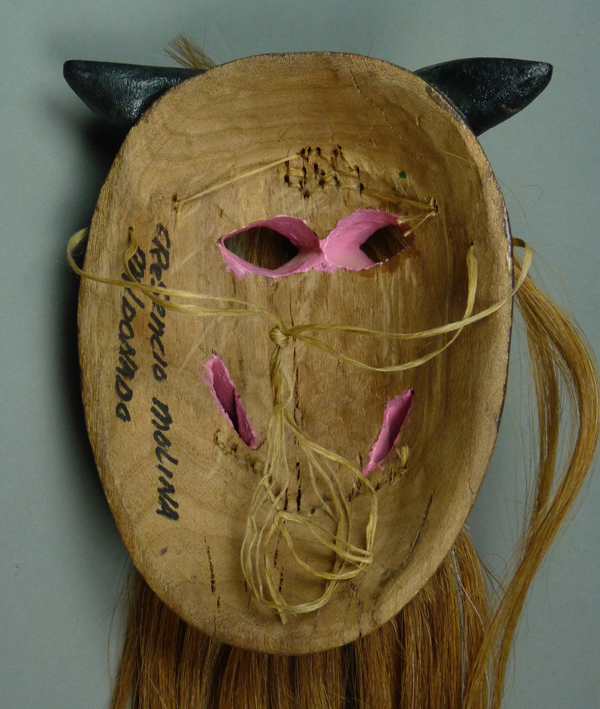 This is another of Crisencio’s masks that has this puzzling pattern of color variation in the wood that creates the false impression of staining from use. 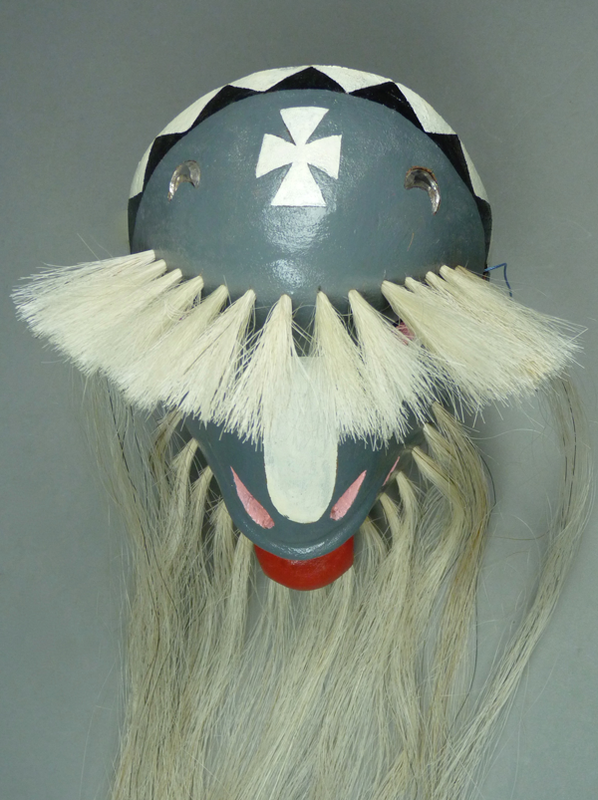 The last mask and the next are similar in their shapes and overall design, but dramatically different in size. This is even more apparent from the side views. 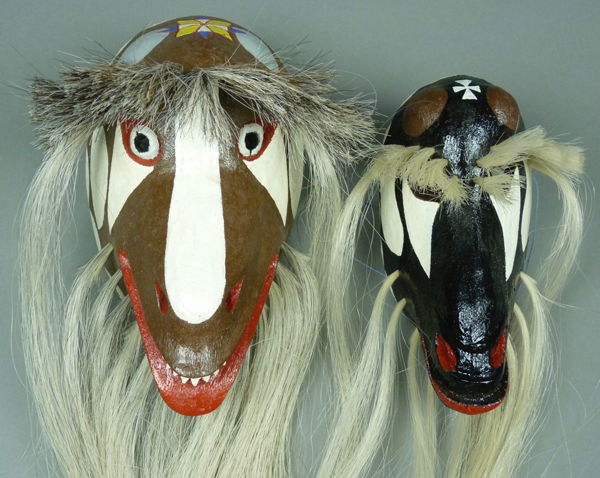 The smaller mask has a simple forehead cross. 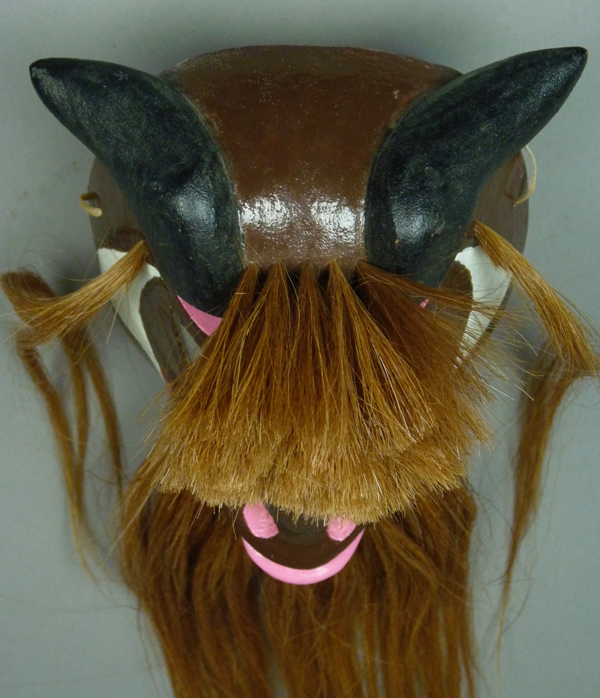 On the other hand, the smaller mask actually has taller horn buds. 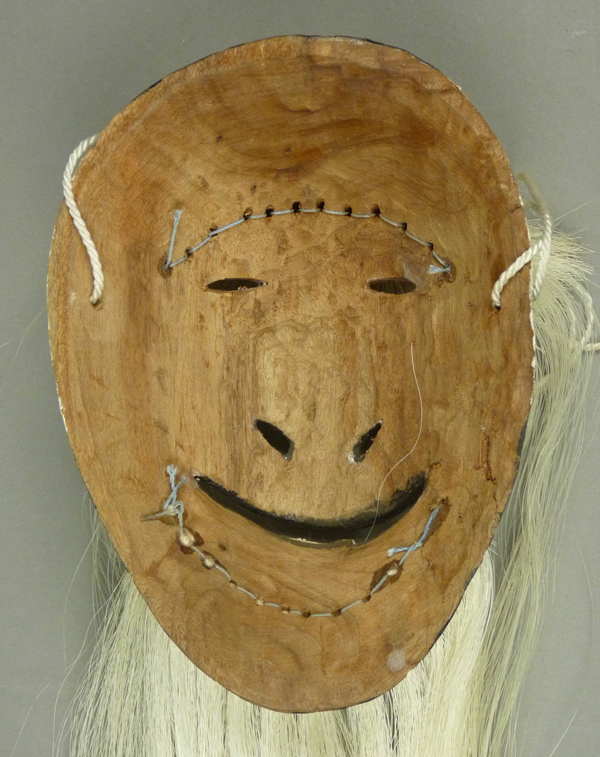 This is a well carved mask with a sweet face. 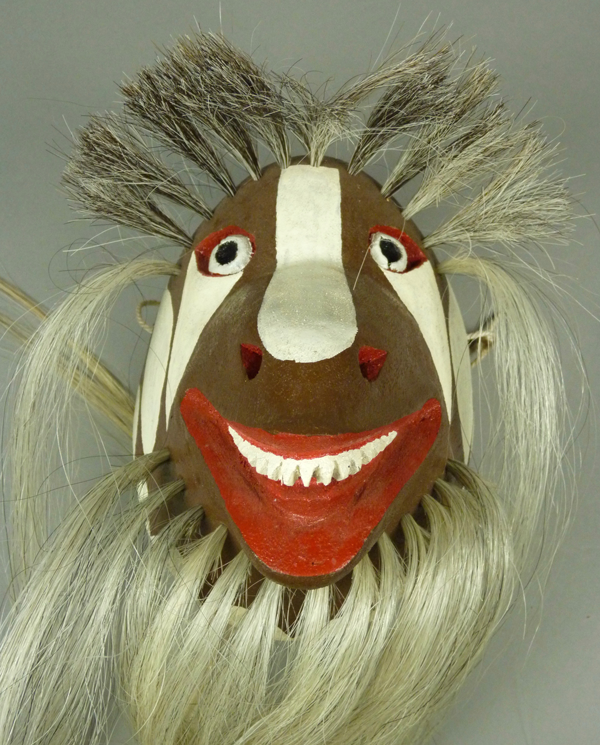 In contrast to the preceding mask, this one is 7½ inches tall, 3¾ inches wide, and 3½ inches deep. The backs of these goats are deeply carved. 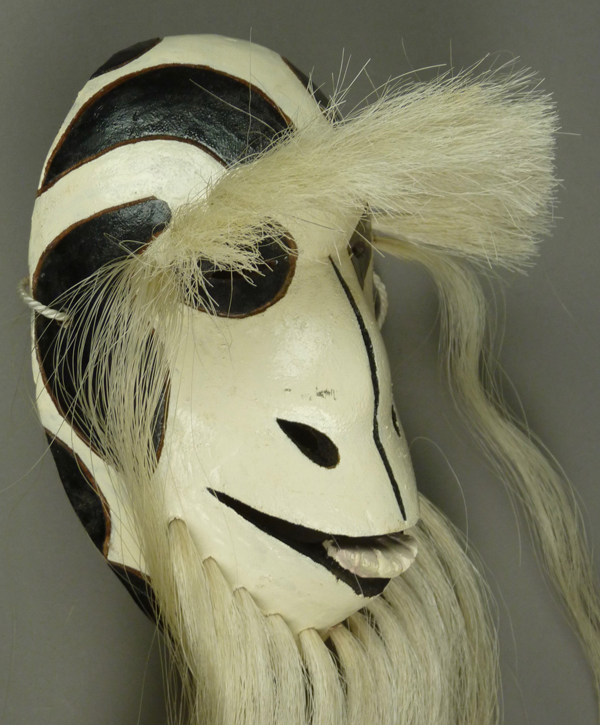 The last mask in this post depicts a ram or Mountain Sheep. 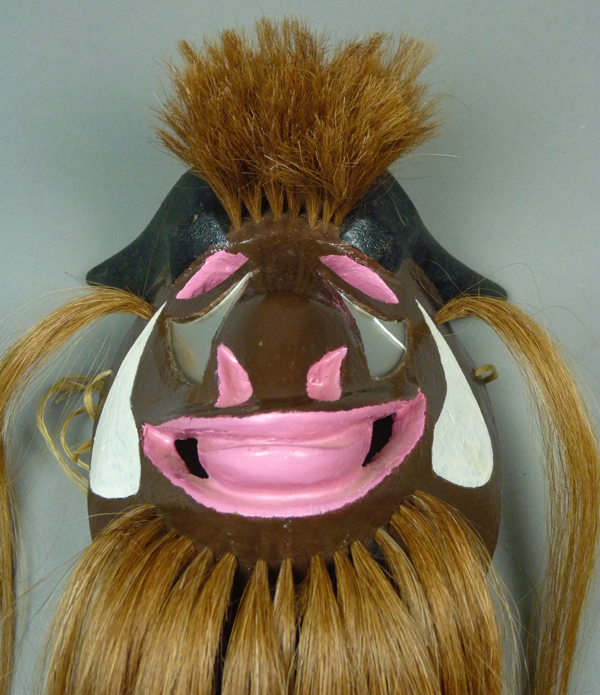 Obviously it is very different from the other goat-faced masks. I have no record of when I got it. It is one of many from my joint project with Tom Kolaz to encourage and collect the work of this so talented carver. 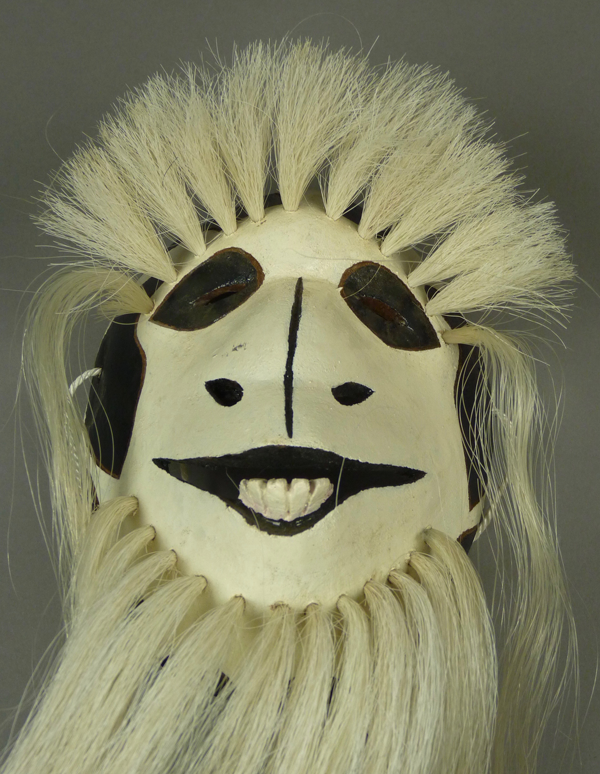 At first glance this mask has a spooky appearance, but then one notices the friendly playful smile. The horns are carved in low relief. 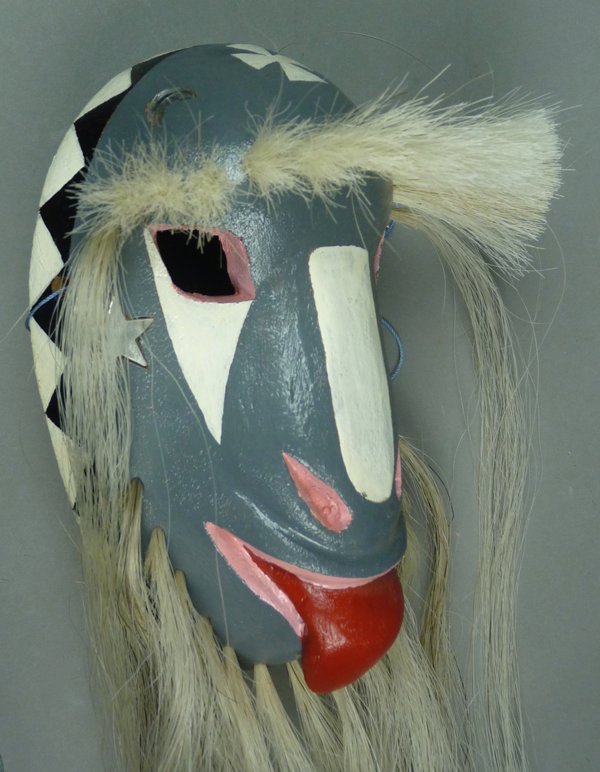 This mask is particularly dramatic, painted only with black and white colors. The back is shallow compared to those of the last two goats. 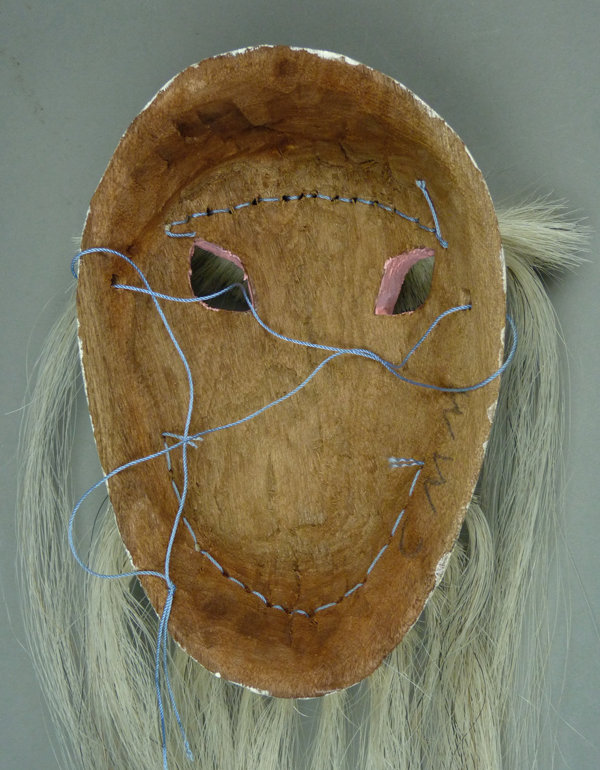 Next week we will look at canine masks by Crisencio.